El modo Captain han sido habilitado en los 3 últimos héroes, personalización de la “Vista de Rejilla”, retoque en los avatares y modelos de algunos héroes, y corrección de errores son algunos de los cambios en esta nueva actualización de dota 2. Ahora no solamente puedes organizar la “Vista de Rejilla” de la forma que más te guste, una vez que termines tendrás la opción de exportar tu obra maestra y compartirla con el resto del mundo. También hemos ampliado la información del Cetro de Aghanim en nuestros tooltips de Objetos y Definitivas. Puedes incluso previsualizar lo que hará el Cetro mientras navegas por la tienda. Una vez que lo hayas comprado, el tooltip será actualizado para reflejar el nuevo poder. ¡Tampoco olvides!, el Torneo The Dreamhack Dota 2 Vengeance Cup comienza este fin de semana y como siempre Gosugamers.net tiene toda la información que puedas necesitar. Puedes encontrar el listado de cambios de esta semana aquí. – Alchemist: Fixed Acid Spray killing couriers. – Chaos Knight: Fixed some bugs with the Illusion spawn positions with Phantasm. – Chaos Knight: Fixed Reality Rift ignoring Linken’s Sphere. – Clockwerk: Fixed units not always getting sucked into Power Cogs properly. – Clockwerk: Fixed Hookshot stunning dead units. – Dark Seer: Fixed Ion Shell showing the visual connecting effect on invisible targets. – Doom Bringer: Fixed sometimes not gaining passive bonuses when devouring a neutral. – Gyrocopter: Fixed Flak Cannon not attacking magic immune units. – Gyrocopter: Fixed Rocket Barrage not hitting Roshan. – Gyrocopter: Fixed Homing Missle portrait name. – Gyrocopter: Fixed Flak Cannon not hitting ancients. – Gyrocopter: Fixed Homing Missle ignoring Linken’s Sphere. – Gyrocopter: Fixed Call Down not providing vision over its area. – Gyrocopter: Fixed Homing Missile not keeping vision around the area when it impacts a unit. – Gyrocopter: Fixed Rocket Barrage not hurting mechanical units. – Gyrocopter: Fixed Flak Cannon not hurting Mechanical units. – Gyrocopter: Fixed Flak Cannon having cast time. – Gyrocopter: Fixed creeps hurting Homing Missile. – Mirana: Fixed Leap buff being dispelled by BKB/Repel. – Phantom Assassin: Fixed Phantom Strike landing position. – Phantom Assassin: Fixed Coup de Grace visual effect to play only when the critical strike attack lands. – Phantom Assassin: Fixed Coup de Grace working on denies and wards. – Phantom Assassin: Fixed Phantom Strike facing direction after landing. – Phantom Assassin: Fixed Blur showing hero name on minimap when it should be hidden. – Phantom Assassin: Fixed Blink Strike not being blocked by Linken’s Sphere. – Phantom Assassin: Phantom Strike now shows you a buff icon while you are attacking fast. – Phantom Assassin: Fixed Stifling Dagger being dodgeable. – Phantom Assassin: Fixed Phantom Strike visual and sound effect sometimes playing on targets it can’t hit. – Phantom Assassin: Fixed Phantom Strike attacks sometimes being delayed. – Pugna: Fixed Nether Ward not draining mana from enemies. – Venomancer: Fixed Aghanim’s Scepter not upgrading Poison Nova duration. – Fixed Hand of Midas giving too little XP when there are nearby allies around. – Fixed Hand of Midas XP bounty being halved against dominated units. – Fixed a case where a courier trying to deliver a Divine Rapier to someone without sufficient item slots could result in the Rapier disappearing. – Added click and drag to rotate the Hero Model in the loadout panel. – Hero-like units now draw a larger distinct icon on the minimap. – Team Names now show up on the recent games panel. – Added an “Inspect Hero” option to the right-click menu for player names in the scoreboard. This will show what items they have equipped. 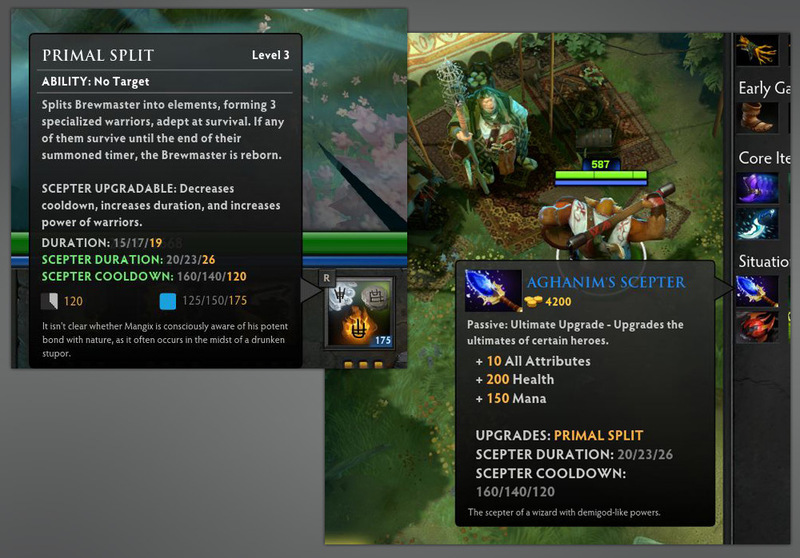 – Buying Aghanim’s Scepter now upgrades the ability tooltip with the new information. If you find anything missing or incorrect, please report it to the tooltip forum. – The store/inventory Aghanim’s Scepter tooltip will now show a preview of what it does for your hero. – Fixed glitchiness in the End Game cinematic camera. – Added an edit mode to the in-game full deck layout. – Added a concept of selection to the Grid View, and used it to implement a pick button. – Leaving the loadout will return you to Grid View if you were in it. – Fixed a bug where you could not see the right hero in your loadout after you picked. – Fixed legacy mode heroes being sorted differently than the learn tab/Dota 1. – Legacy full deck cards are now simply the portrait, without the card treatment. – Added Back to Browsing & Back to Loadout buttons. After you pick, you can now return to browsing to suggest / learn heroes. – Fixed suggest button not being visible in grid view, and implemented suggestion there. 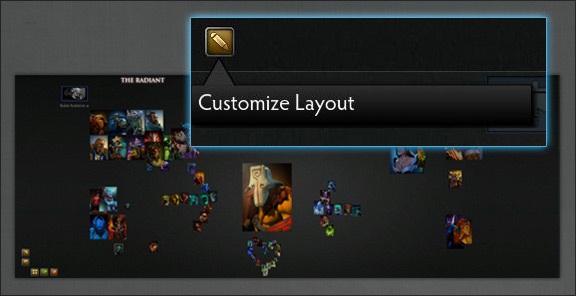 – Fixed grid view selection outline not updating when you clicked on a suggested hero. – No longer force the selector to switch to the turntable if you’re at grid view and want to select a hero for any reason. – Having no heroes matching the filters/search bar no longer kicks you out of grid view, instead showing you the same “No Heroes” message box as turntable mode. – Fixed the grid view crashing if there were no matching heroes. – Fixed the “No Heroes” message not being centered in widescreen. – Added Chaos Knight bot. – Made bots more likely to unify around a Roshan attempt. – Added bot role/laning info for all heroes, which should make for better hero and lane picks. – On Easy and Easier, bots will no longer consider whether a target is currently slowed when determining whether to slow/stun. – Bots are now more likely to push late-game when they are feeling indecisive. DotA 2: N’aix ha sido liberado!